Renault Samsung Motors unveiled All-New SM7 at a media road test in South Korea and the model will be available in showrooms from mid-August. To underpin the in-depth changes it introduces, the second-generation SM7 will be known as All-New SM7 and was developed over a period of 32 months, with R&D investments amounting some 400 billion South Korean won (€270 million). Renault Samsung Motors’ flagship model delivers the same impeccable quality and value for money of former SM7 models and exceeds the demand of its E-segment customers thanks to the advanced Renault-Nissan Alliance technologies it packs. All-New SM7 features the elegant and sophisticated styling expected of a prestige saloon, with a special focus on roomy cabin space and premium well-being features, plus an exceptionally silent ride and outstanding travelling comfort. It boasts the roomiest interior in its segment with kneeroom for rear passengers up by more than 70mm over the previous SM7, plus plenty of headroom and shoulder room. 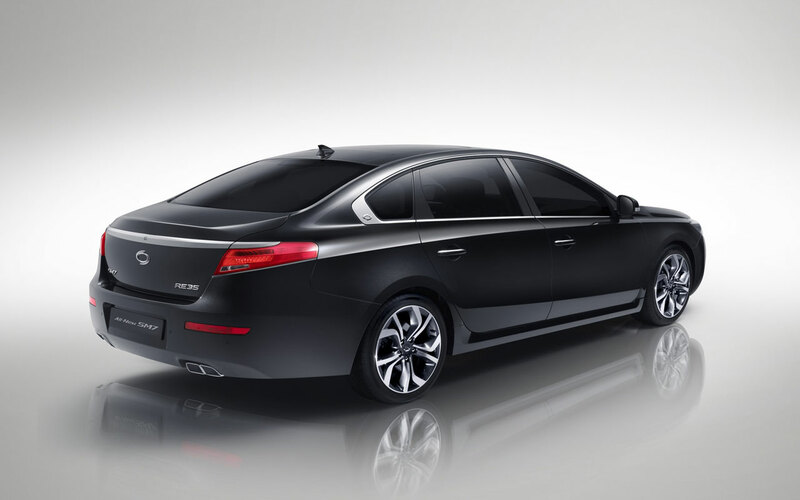 Several premium well-being features have been introduced, too, including Aviation Headrests – another segment first – plus an optimized Air-Ventilation System which distinguishes it from other big Korean-made saloons. 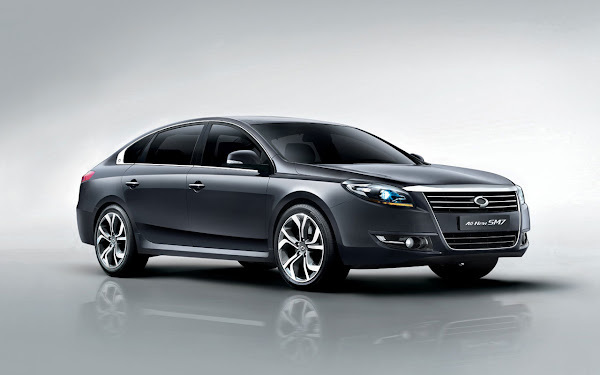 The ultimate motoring experience is ensured by the car's quiet ride and exceptional, segment-leading ride comfort. Meanwhile, features like the 'Sport Mode' function and Paddle Shift gearshifts are available for the first time in the segment to deliver even greater driving enjoyment. 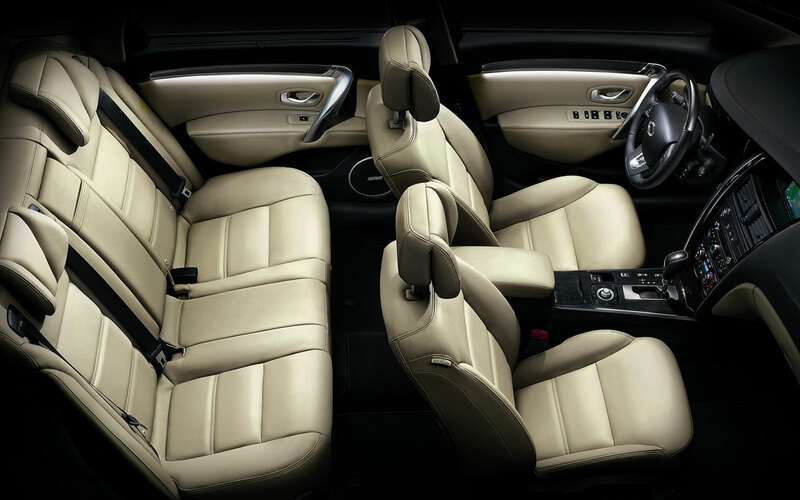 This overall package has been designed to position All-New SM7 as a truly high-end prestige saloon. All-New SM7 is powered by the Nissan VQ engine which has been listed by the leading automotive industry research group Ward’s as one of the world's top 10 engines for 14 consecutive years. The performance and durability of the third-generation VQ engine has been achieved thanks to extensive work in areas such as friction and optimised engine management, as well as improved intake and exhaust systems, a more efficient catalytic converter and the use of iridium spark plugs, etc. The VQ powerplant drives through a new, six-speed automatic transmission with a manual shift function which includes a high-capacity torque converter for seamless gear changes and superior driving performance. All-New SM7 can be specified with one of two engines: the 3.5 VQ (six-speed automatic transmission with manual gearshift mode) or the 2.5 VQ (six-speed automatic transmission with manual selector mode). Both will be available with three equipment levels to cover the different needs and tastes of the model's customers. The maximum power delivered by the VQ25 engine is 190hp, an increase of 15 percent over the previous SM7, while peak torque stands at 243Nm at 4,400rpm. This version of the engine has sought to optimise performance in the most practical and commonly-used rev ranges, while customers also benefit from energy control technology features like ESM (Energy Smart Management) for fuel consumption of just nine litres/100km. In the case of the VQ35 engine, maximum power of 258hp (up more than 20% over the previous SM7) makes it the segment's most powerful powerplant. Peak torque of 330Nm is produced at 4,400rpm, allowing drivers to benefit from outstanding performance compared with rival models across the most practical and frequently-employed engine speed ranges. Fuel consumption is a low 10.4 litres/100km. Prices for All-New SM7 range from 30 to 39 million Korean won (€19,724 to 25,641), while that of the previous SM7 ranged from 28.8 to 37.7 million Korean won (€18,935 to €24,786). Thanks to its competitive price tag, which belies its enhanced performance characteristics, All-New SM7 is expected to have a radical effect on the big saloon car market. At the time of the original SM7's launch in December 2004, the model established a new benchmark in Korea's big saloon car market thanks to its sophisticated styling, excellent handling, quiet ride and dynamic driving performance. In the customer surveys carried out by automobile market research specialists Marketing Insight, it topped the 'Marketability' classification for three consecutive years and the 'Quality Stress' classification among cars in all segments for two consecutive years.